Gwen Stefani spent Tuesday on a lake with boyfriend Blake Shelton and her youngest son. 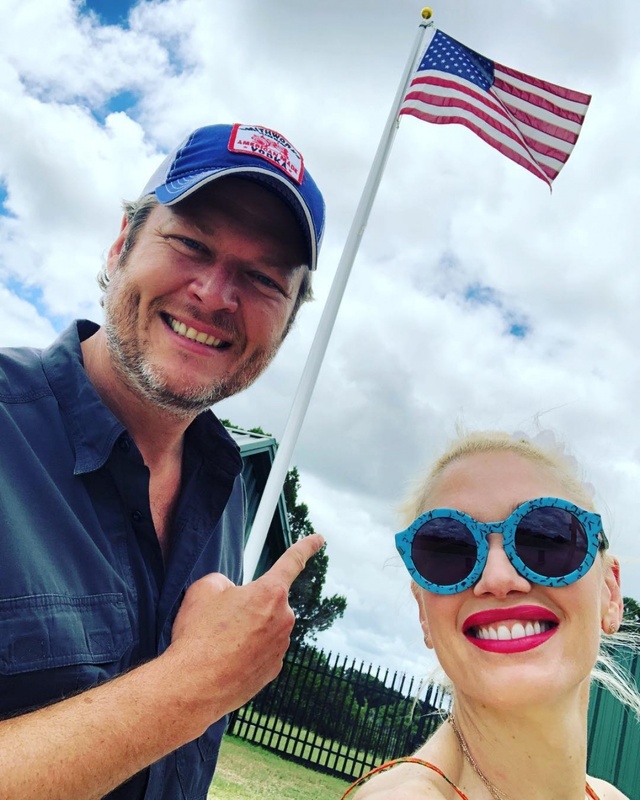 The 48-year-old singer thanked "The Voice" coach for "sharing [his] world" with her following an outing with 4-year-old Apollo at Lake Texoma, Okla.
Stefani also documented Apollo investigating bird nests on the shores of the lake. The singer is parent to Apollo, 9-year-old son Zuma and 12-year-old son Kingston with ex-husband Gavin Rossdale. Stefani and Shelton visited Lake Texoma one day after Shelton's 42nd birthday. Stefani marked the occasion in a post to Shelton on Instagram, and followed up with a photo of herself with the country star. Janet Jackson: Holding son Eissa is "the height of happiness"